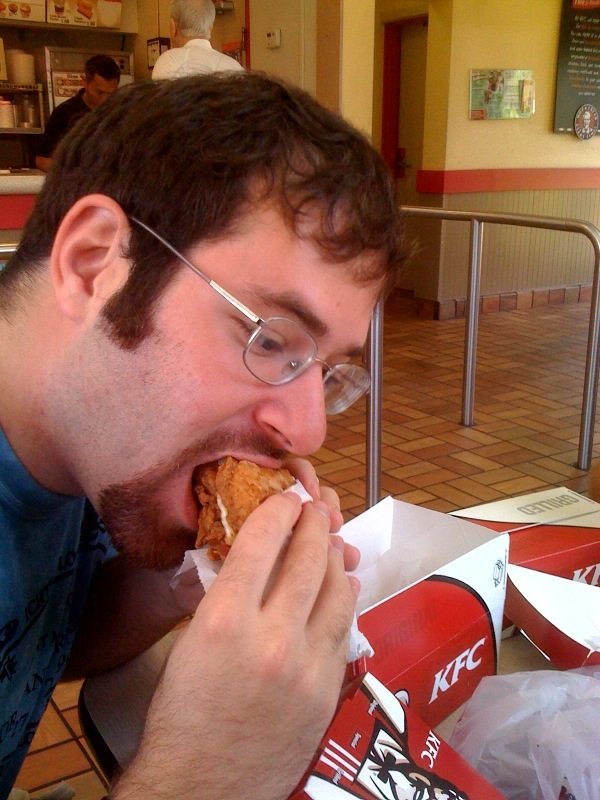 Those of you who follow me on Twitter already know that I recently earned the honor of being one of the first three people in Charleston to try KFC’s new Double Down. The other two were friends of mine. What is the Double Down, you ask? It’s a sandwich with “so much flavor that there’s no room for bread”. It’s cheese, bacon, and sauce in between two slices of fried chicken. Like most deep-fried deliciousness, I felt really great as I was eating it…and not entirely awesome for a few hours afterward. Still, it was worth it. The Double Down has been taking the interwebs by storm. The political blog fivethirtyeight.com asks whether it is the unhealthiest sandwich of all time, and the humor website cracked.com calls it “terrifying”. Bacon Blog Wars is indeed on.